Back in 2004 I purchased my first serious pair of headphones, a pair of Sennheiser HD600s. This was an introduction to a number of new concepts for me: headphones that are open, benefit from an amp, are sensitive to different cables, and are intended to be listened to at home (where you could be listening to speakers, sacrilege in some circles! haha). In these formative days of headphone audiophilea I recall being at a meet in College Park, MD where there were a number of HD600s and HD650s. We were auditioning cables by Cardas, Stefan AudioArt and other DIY concoctions including pure silver cables. It was amazing what a difference the cable could make to the signature. 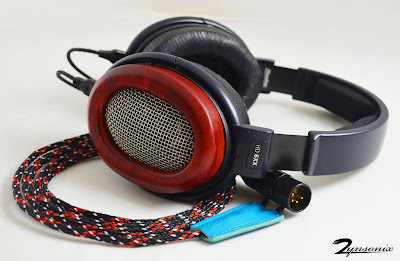 I'd long since sold my HD600s and HD650s and moved on to other headphones like Audeze, when I saw Massdrop and Sennheiser teamed up to released the HD6XX. 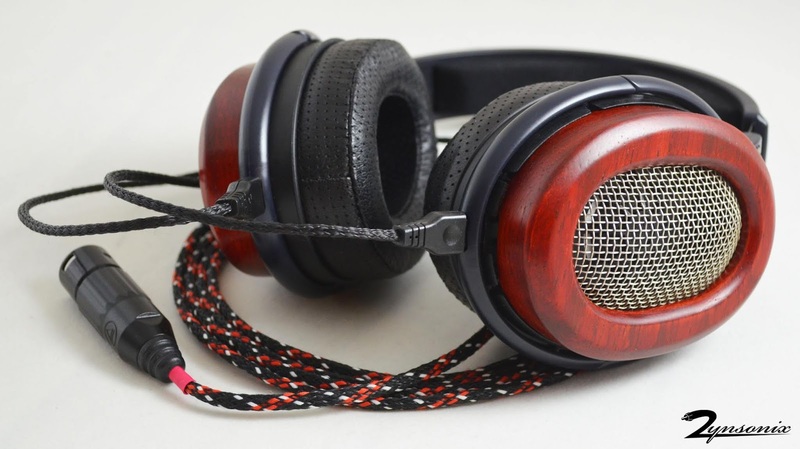 The HD6XX is quite literally a more affordably produced HD650 (based on Inner Fidelity's measurements). I figured for $200 it would be fun to have a listen to the Sennheiser house sound once again, and see how good it could sound with a balanced amp and some tweaks. If you're not familiar with Massdrop, it's an interesting business model where the company has a number of people commit to buy a product at a discounted price. Generally there are a certain number of buyers required to make the "drop" happen, and once it does, it can take months before you have a product in your hand. The upside is you can get some incredibly good deals so long as you're patient. Massdrop also teams up with manufactures to produce one-off products at a sizable discount, such as the Focal Elex, AKG M220 Pro, HiFiMan HE-4XX and other headphones which are a little different from what's on store shelves. The Sennheiser HD6XX is such an animal. 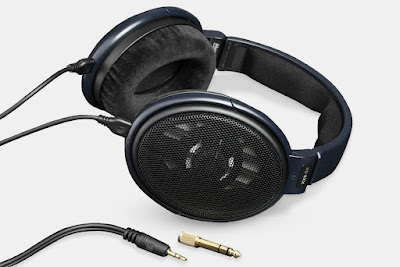 Looking at the HD6XX versus the HD650, you'll note the HD6XX has a dark blue headband versus silver and the screen printed "Sennheiser" on the top of the band is more subtle. I personally think the HD650 color scheme is a little easier on the eyes, but given this relatively superficial difference shaves $150+ off of the street price of the HD650s and still sounds identical, the choice is a veritable no-brainer. Given you're saving big bucks on the HD6XX, those dollars should go toward making them even better, right? I'll be going over a few tweaks you can do for improvements in sound, comfort, and looks. One thing I couldn't be happier about is the trend toward calfskin earpads in the past decade. Exposed foam and velour don't feel all that great against my skin. The Sennheiser HD580, 5XX, 600, 650 and 6XX all feature velour pads, but fortunately there are companies producing replacement pads. I've found the Dekoni fenestrated pads are quite comfortable while allowing breath-ability. The pads snap in place on the frame and are quick and easy to install and uninstall. Even with the new pads, the HD6XXs look a little dull, easily glanced over when looking at newer headphone designs with chrome and carbon fiber. 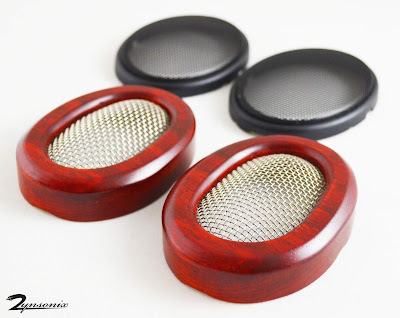 I decided to reach out to Larry at Headphile to see about getting some custom wood cups. Talking about Headphile with some of the old-heads at HeadFi will elicit smiles and good memories. 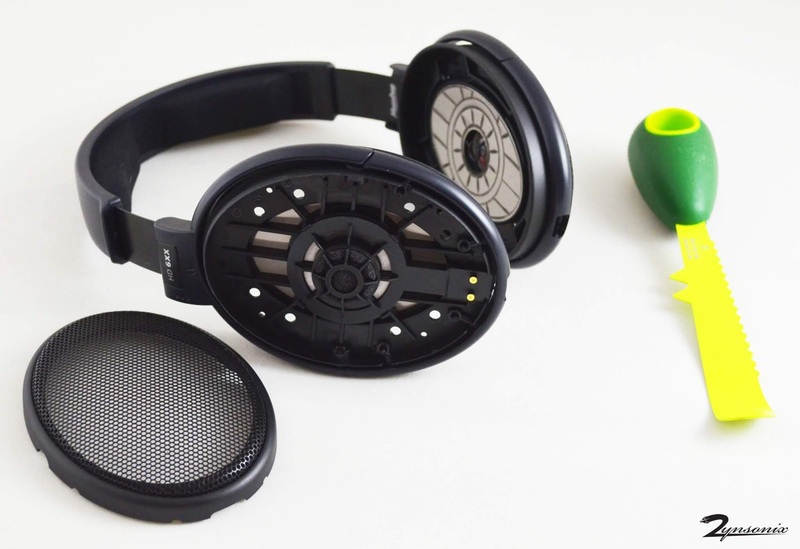 Larry's been at it for quite some time, and for a little while there, the "Darth Beyers", which were Beyerdynamic DT770 headphones modified with wood cups, were one of the most popular cans on HeadFi. Every now and then you'll see a pair pop up for sale, and if you like bass, I'd recommend you give 'em a shot. 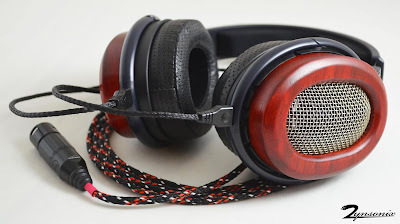 In addition, if you have the scratch, Larry is still building them with a number of wood choices... although I don't know if he's still building the deep versions (which I most favored). 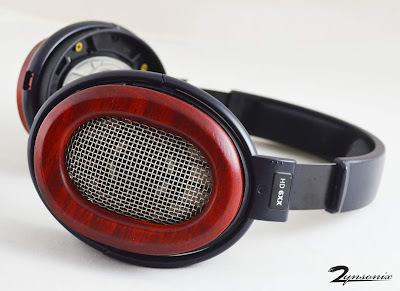 I chose Padauk (pronounced Pah-duke) wood as it's reasonably priced and has a nice reddish hue, which will pop on the dark HD6XX. Larry offers the cups open with screens or closed. The open versions sound pretty much identical to the stock screens with perhaps a tiny bit more reverb, and the closed versions have notably more reverberations (or a chamber-like effect) depending on what sort of damping is applied inside. The installation process is quick and painless. The screens are pressure fit on the frame, and using a spoon or similar utensil (I used an avocado knife) you can slowly pull the screen away from the frame and remove it. The difference in color and presentation is night and day from the new wood cups and the existing stock screens. Installation is completed on each side using a set of 4 brass wood screws. You will need to adjust the tension of each screw to ensure it has adequately threaded into the wood, but is not impeding on the cavity for the cable plug insert, otherwise the cable will either not insert at all or will be super tight. 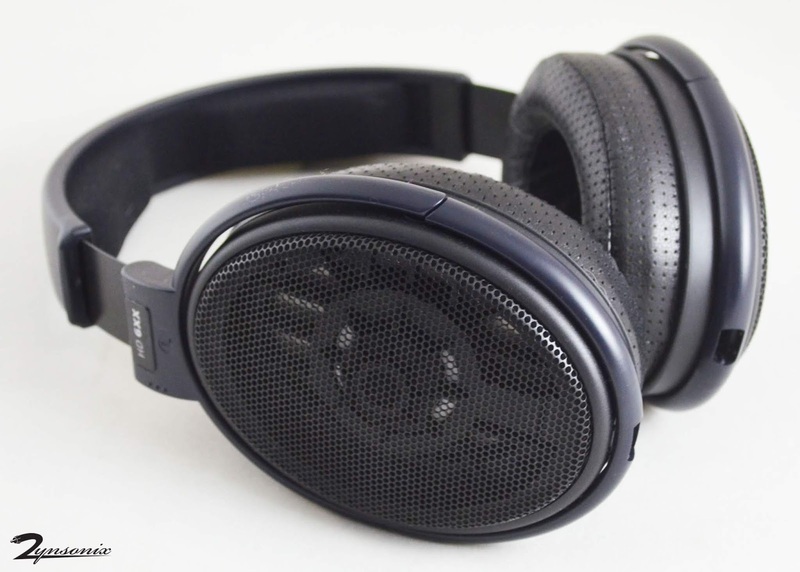 The HD650 (and HD6XX) is a warm-sounding headphone, no doubt about it. It can be a little too warm and rolled-off in the highs for some. This is where a cable comes into play. I opted to build a Zynsonix Xev cable for the HD6XX. While the most affordable in the line, it features silver-clad conductors, low-strand count and a PTFE (Teflon) dielectric, giving it a forward and detailed sound signature. It's exactly what the HD6XX needs, pushing forward the treble, resolving the bass, and giving the headphones a far more dynamic presentation. 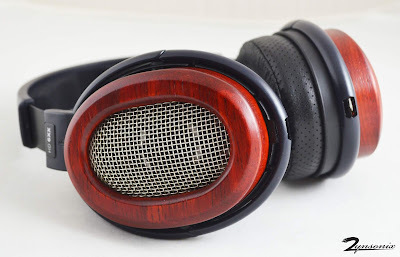 I wasn't sure if I would keep the HD6XX, it was more of an entertaining experiment, however with these mods the enhanced comfort and sound really make it a winner and a definite keeper. Headphone enthusiasts these days are quite lucky, as it would be very hard to reach this level of sonic performance at this price years ago. If you'd like a Xev cable made to your specifications (whatever length, sleeving, and termination you'd like), please reach out to Zynsonix today and take your Sennheisers to the next level. Zynsonix Audio, LLC does not have any relationship or financial interest in the companies mentioned in this post, including Headphile, Massdrop, Sennheiser, Inner Fidelity, Dekoni, etc.